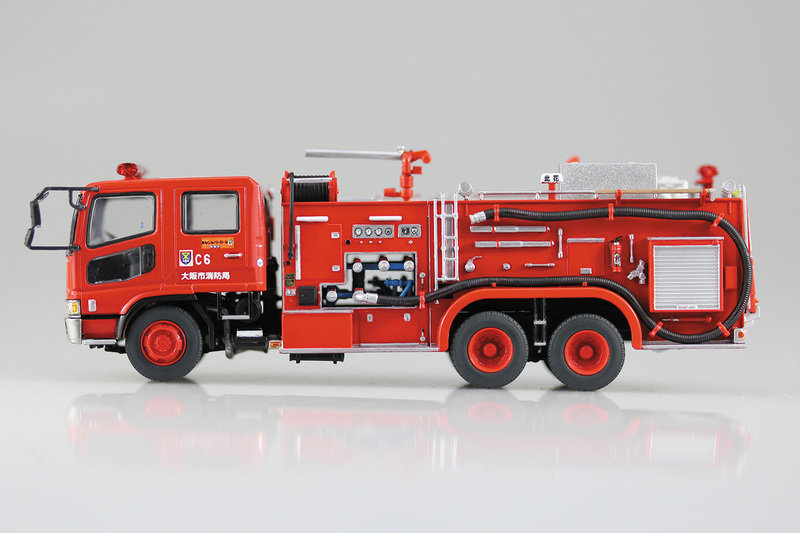 The Chemical fire pumper truck assigned to Osaka municipal fire department is designed for hazardous material disaster and fire explosion in industrial area. The vehicle has a self propelled water cannon in its rear deck storage which capable of engaging in fire extinguishing activities where the firemen can not work because of the radiant heat. 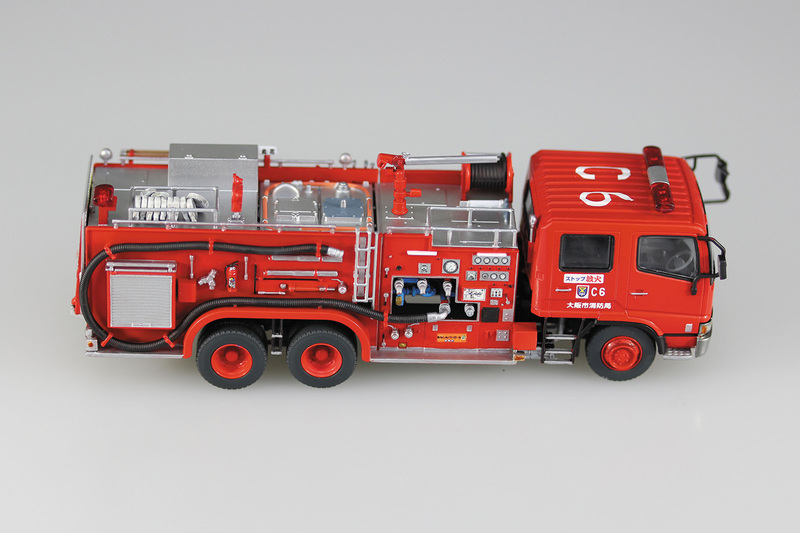 It is also equipped with metal halide lamp and type 3000 EP water cannon on its top. 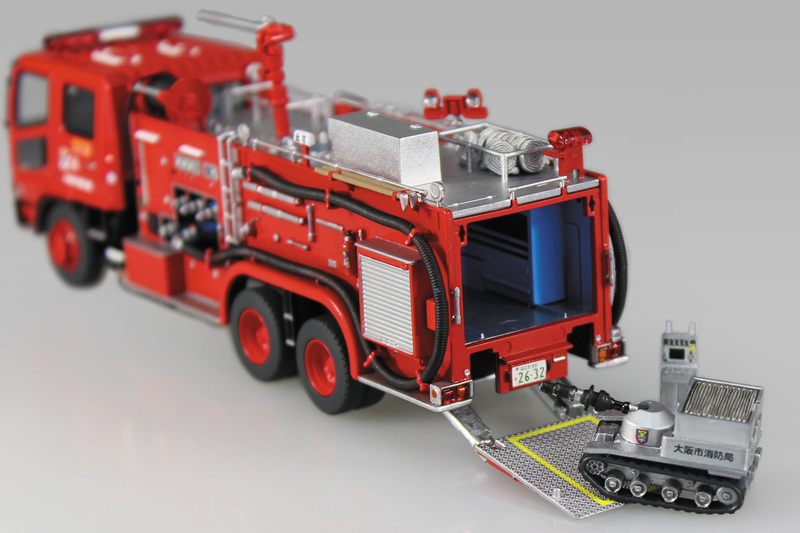 This model kit recreates the real vehicle in the first class quality, and the engine and chassis are fully detailed. The cabin is tilting, and the hatch on the rear deck is working. 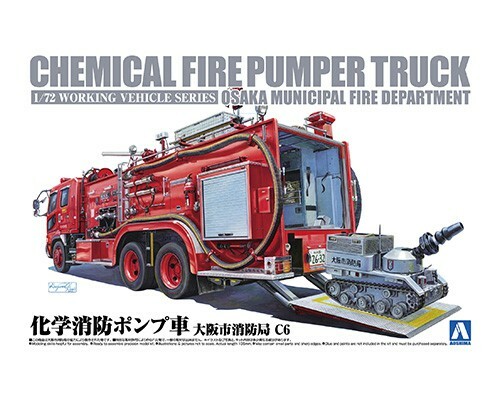 The self propelled water cannon and its controller will be another extension of the joy of building this model kit.